Any entrepreneur with an idea that’s aimed at saving a consumer some time or money, or improving his customer experience, will verify this notion: getting your product or service in front of a large, well-established, well-respected, well-known entity is huge. It’s a “golden moment” that every innovative startup craves. For St. Louis based startup aisle411, one of those moments came in 2011, when the local company – which has built a shopping app that can be used to find items in retail stores – signed a deal to bring its technology to thousands of Walgreens stores inside the Walgreens mobile app. In June, aisle411 announced another major partnership, one that paired aisle411, Walgreens and Google on an initiative called Project Tango. “To be working with Google, as well as a $70 billion company in Walgreens, a top-fifteen global retailer, is a very big deal,” says aisle411 co-founder Matthew Kulig. For the unfamiliar, aisle411 has developed technology and an app that allows customers to use their smart phones to find products in retail stores. The aisle411 app can send shoppers customized alerts or offers while they are walking the aisles or departments in a store. Google’s Project Tango virtual reality shopping technology will allow consumers to see a 3D map of the store on a smart device, as they are navigating the store’s aisles. 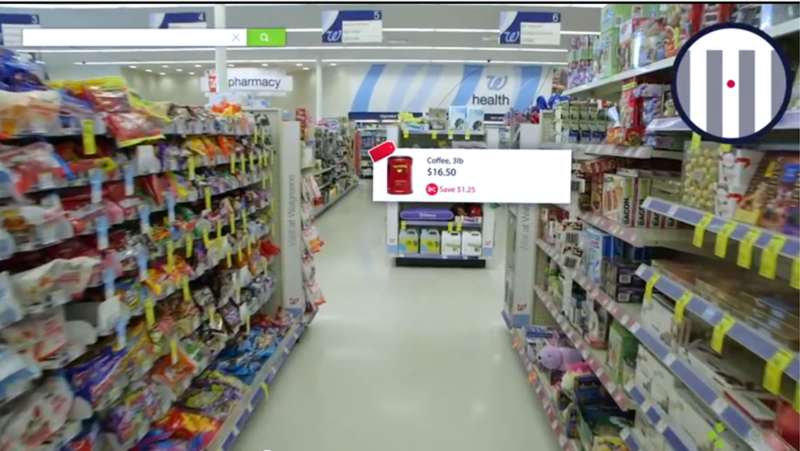 The technology will enable shoppers to not only find the products they are looking for, but also to take advantage of coupons which literally will “pop out” from the shelf. In a pilot project this year, shoppers at four Walgreens stores will be equipped with a tablet that features tiny cameras to gather data, as well as process and understand it. “It’s a lot like the human eye,” says Kulig.